In our exclusive video, author Sarah Arthur shares how she found strength in Madeleine L’Engle’s work following a harrowing breast cancer diagnosis. Read Sarah's inspiring story from the February 2019 issue of Guideposts! Hi, Guideposts. I'm Sarah Arthur, and I wrote a book called A Light So Lovely: The Spiritual Legacy of Madeleine L'Engle, who is the author of A Wrinkle in Time. About 6 hours after I turn in final revisions for A Light so Lovely, I found out that I had stage 1 breast cancer. So in the midst of all the galley proofs and edits, I was in and out of surgeries. And then, during the course of the summer, as we were getting ready to launch the book, I was preparing for chemo, which started just literally days after my book came out. 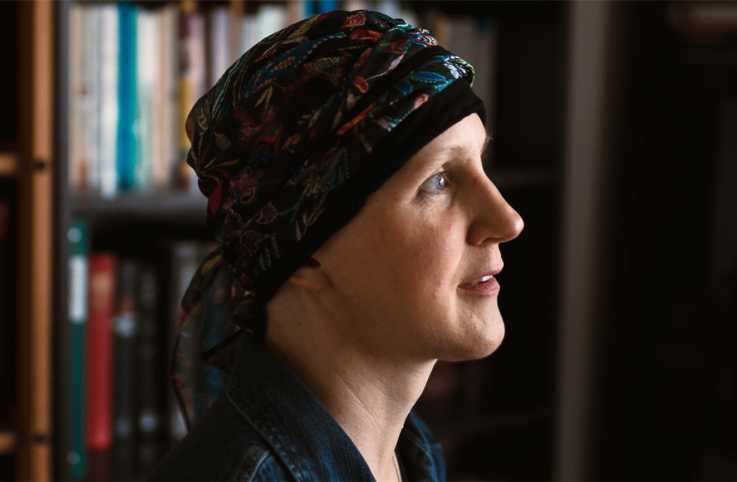 And so the journey of cancer has really been almost like the final chapter of the book, where I realized where Madeleine's own story of struggle interfaced with my new reality. And it was an amazing thing to watch how her words that I hoped would inspire other people during that season of my life have had to inspire me. Madeleine wrote A Wrinkle in Time, which was a Newberry-winning children's book. Like many readers, I had heard of Madeleine L'Engle as a child because, of course, so many people read A Wrinkle in Time. And ever since then, a lot of her other books have been powerful, too. But since my cancer journey, some of her memoirs about losing her mother to dementia, for instance, or her husband ... Two-Part Invention, a story of her marriage to Hugh Franklin, who was a famous actor on the soap opera All My Children. She was married to him for a long, long time. And the story of his death to cancer in 1986, and then later talking with people in her family about losing her son Bion to end-stage alcoholism. I began to realize in my cancer journey that those stories of Madeleine's were also sustaining me. Because she had somehow put one foot in front of the other in a really dark time. In her book The Summer of the Great Grandmother, Madeleine writes about her mom's decline with dementia and how the family was stepping up to care for her and make sure that she had quality of life to the end of her life, and how Madeleine is wrestling with losing a parent and struggling and watching someone suffer. And something that she does in that book that other readers have told me and that readers themselves told her was that they had never before heard that it was OK to be mad at God. And yet here, the Bible is full of people who [chuckling] get really mad at God. The Book of Psalms, in particular, are psalms of, like, "Hey, this is really a crummy time in my life. Where are you? Flex your muscles. Show us who you are. You made us so we could praise you, so why is this happening to me?" And Madeleine said that's OK. God can take it. We can be angry about these things. That's been incredibly powerful to me in my cancer journey. I interviewed a lot of people who knew Madeleine, and in interviewing them, it became clear to me how important community was for her. She had her family, but she also had different housemates. And then she was also a mentor for other writers. And I just found that in my experience with cancer, that it was actually the prayer and the faith of other people that was probably most sustaining to me—that I, you know, there are days, when you've been diagnosed with cancer, that you can't find the words to pray. Like, you are out of words. And it's all just sort of raw emotion. And I needed my faith community. I needed my church and my congregation to pray for me. And my husband and I needed people to step up with meals and watching the boys—all the things that helped them have joy in their life when I didn't always feel joy. And so, you know, as I think about Madeleine surrounding herself with people in her journey, that's what we need. That's what we certainly, in my family, needed, and to not always be isolated and afraid to share what's hard about what we're going through. 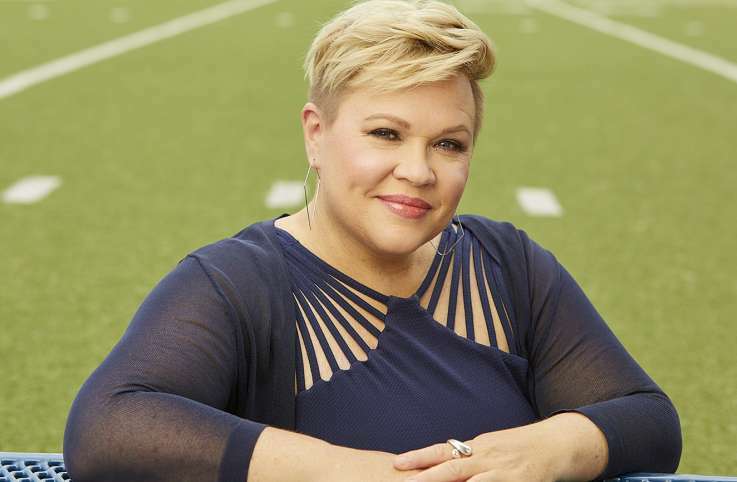 The acclaimed ESPN reporter shares how important sports have been to her as she deals with cancer and how her faith and the support of friends, family and fans help to keep her positive and hopeful. 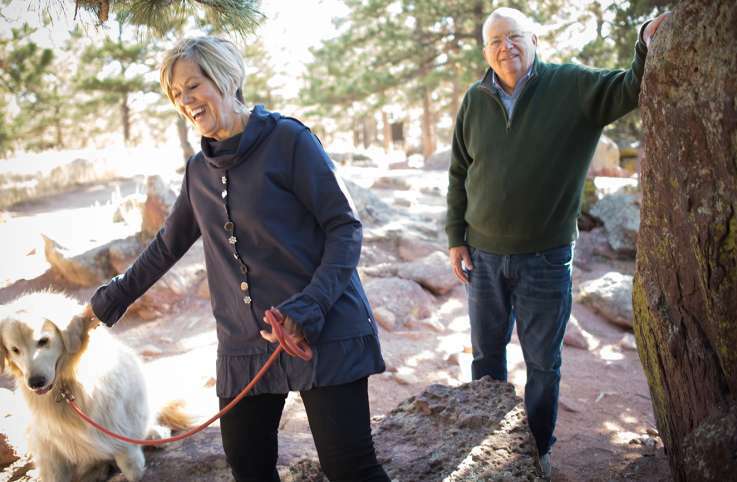 Carol Kuykendall relates how she and her husband, Lynn, relied on faith, family, friends and the love of a devoted golden retriever to emerge from their respective battles with cancer.